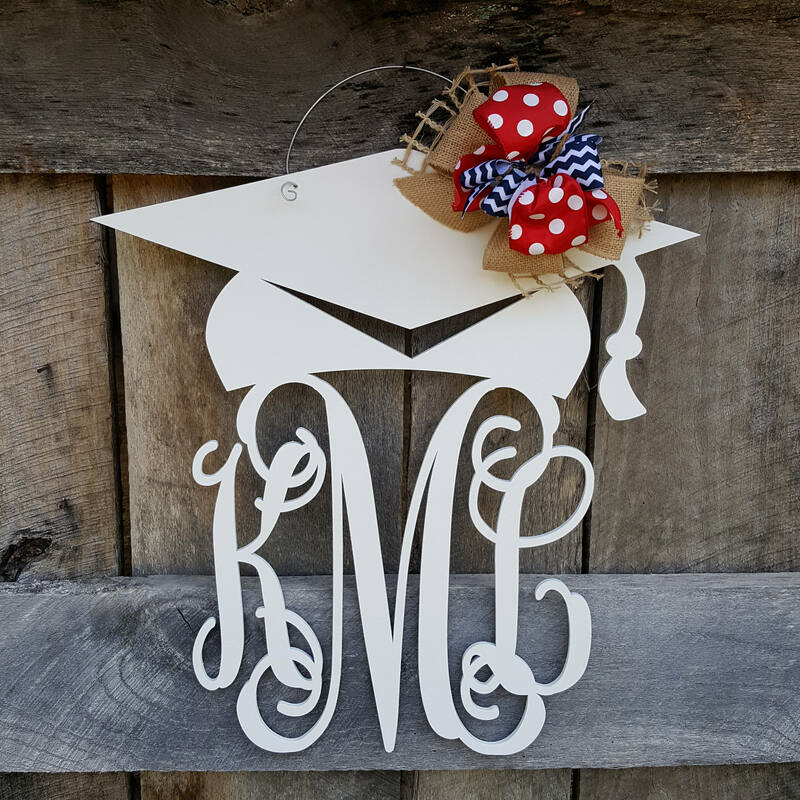 This graduation-themed door hanger is a fun way to personalize your graduation party decor or honor the graduate anytime! 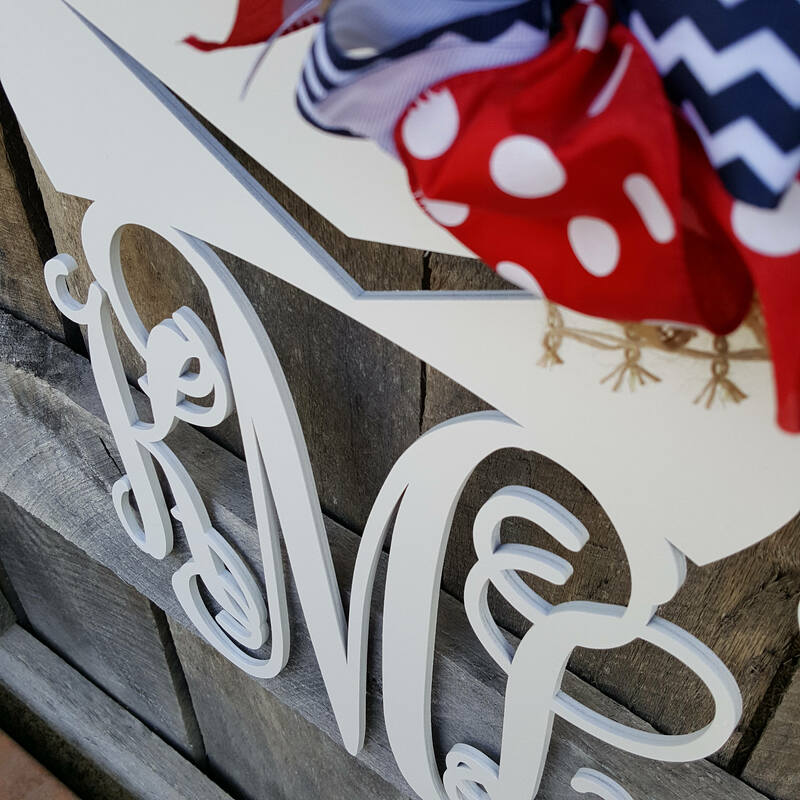 The piece is laser-cut from 1/4" Baltic birch, painted in the color of your choice and finished off with a coordinating bow and attached wire hanger. 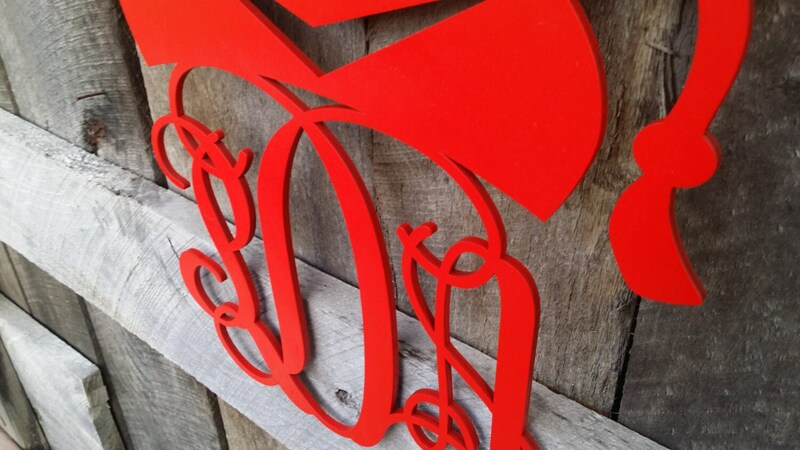 So, each piece arrives ready to hang and enjoy! This hanger measures 22". This measurement indicates the height of the wooden portion of the piece. 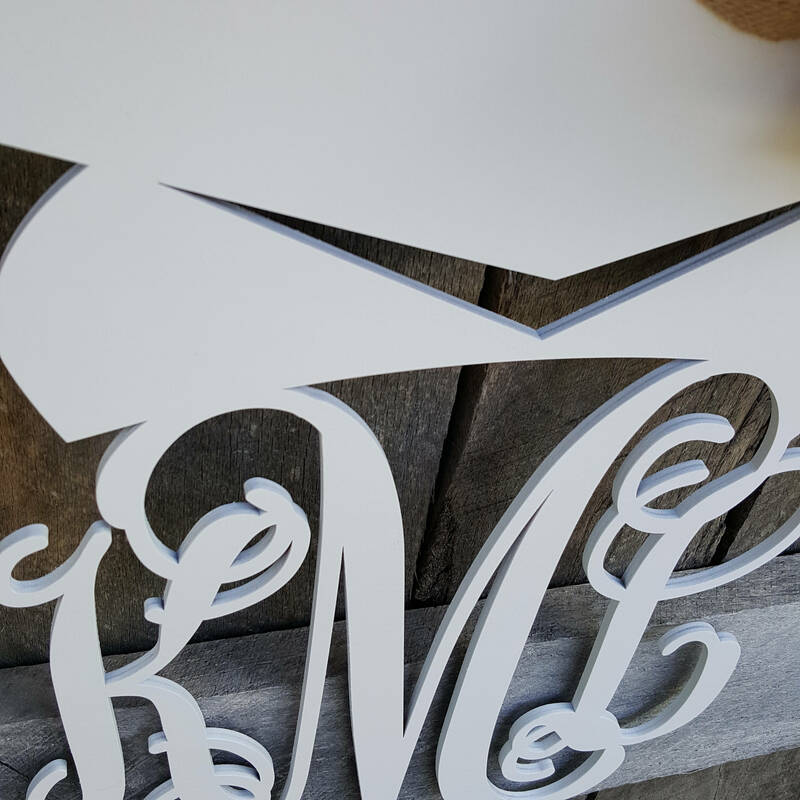 The attached wire hanger adds a few inches to the overall height of the piece. Great customer service! 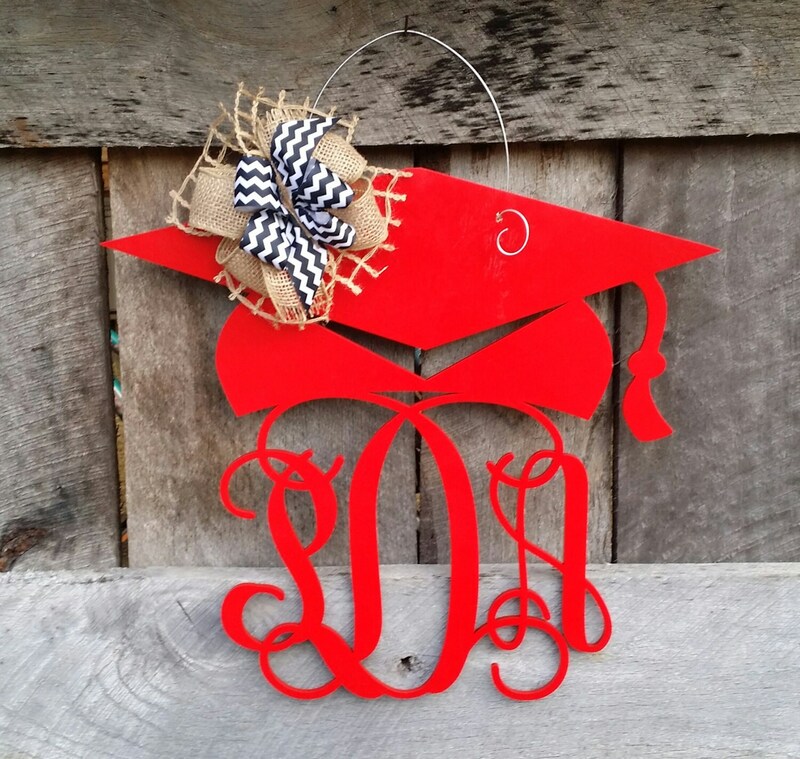 Love the door hanger; just as pictured and ordered!